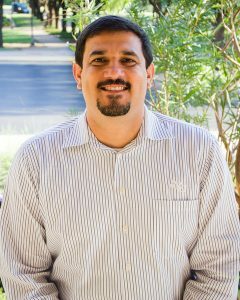 We are pleased to introduce you to Daniel Garcia (’04), who will be moving to a full-time faculty role within the College of Business Administration this fall. Garcia is from Cancún, Mexico and came to ACU as an international student. He graduated with majors in management and marketing, a certificate in missions, and a minor in global studies. Soon after graduation, Garcia began working in admissions as a multicultural marketing specialist to help recruit a more diverse student body across the U.S. and internationally. He has a masters degree in intercultural communication, a certificate in conflict resolution, and is finishing his M.B.A. through COBA’s new online program. He is currently the Director of Multicultural and International Enrollment and also teaches International Business (BUSA 419) and Principles of Marketing (MKTG 320). His wife, Yukari, is from Japan and they have two little girls and a one-month-old son. Garcia and his family attend the bilingual service at University Church of Christ. Q: What drew you to teaching? A: I never considered teaching as a career until fairly recently. Several years ago, I was in Hong Kong on a recruiting trip and met a COBA study abroad group lead by Dr. Phil Vardiman. I was flying to Shanghai to recruit students at a university and invited Dr. Vardiman to come along, as students like to hear from faculty during the recruiting process. After watching me give a presentation to the prospective students about ACU, Dr. Vardiman started a conversation with me about teaching. Many more conversations later, I started teaching part-time for COBA last semester and am excited to move to full-time in the fall. Q: Why do you enjoy teaching and working with college students? A: A large part of my job in admissions and recruiting was talking up ACU and describing why it is such a unique university. 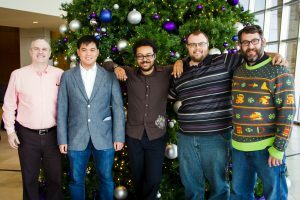 One of the biggest factors that set ACU apart from other universities is our faculty. 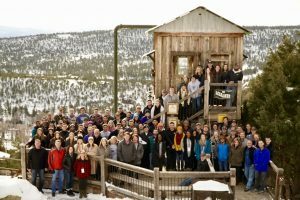 They are remarkably caring, intentional, and truly make a difference in students’ lives. 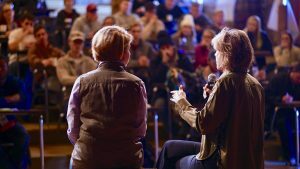 After talking with Dr. Vardiman, I realized that I did not just want to talk about that difference, I wanted to make that difference. I am excited to help students learn how to hold a more global worldview. The more we learn about other cultures, the more we learn about our own and discover peace as we begin to understand each other. I believe in not just teaching content, but presenting it in new and innovative ways that emphasize a continually expanding worldview. Q: Outside of teaching, what passions/hobbies do you have? A: I have traveled internationally for ten years for work. Traveling is one of those professions that when people hear what you do, they assume you are just on a glorified vacation. There are also different perceptions of some places over others and the idea of glamorous travel wears off very quickly. To continuously travel for work for so long, you have to have a passion for what you do and a passion for other cultures. I love learning how those different from myself think, why they do what they do, and watching people solve the universally same problems in different ways. Q: What is something that students might be surprised to find out about you? 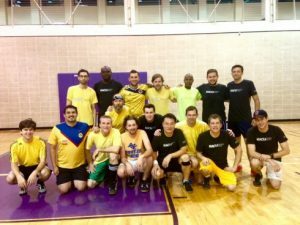 A: I play on the “Sunflowers of Death” soccer team with Dr. Jessup and have a superhero alter ego, Chido Man, who represents the idea that God has given us talents to make a difference in the world. Garcia will continue to teach International Business and Principles of Marketing as he assumes his full-time position in the fall. We are excited to see what he does in this role and to welcome him further into the COBA family. 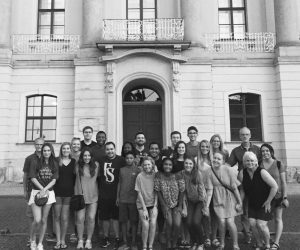 This July, the COBA classroom moved around the world to Leipzig, Germany with professors Don Pope and Dennis Marquardt leading the way. 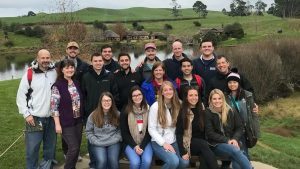 Students received course credit in Cross Cultural Organizational Behavior and Global Operations Management. 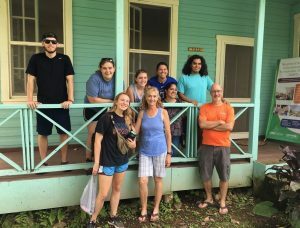 We asked Dr. Pope to tell us an overview of their trip. 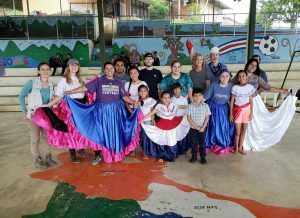 We hope you enjoy the second installment of our four part blog series on the 2018 travels of the COBA Study Abroad program. What made Leipzig a unique place to study? Leipzig is a mid-sized German city with a long and proud history. It is not a tourist destination. You would have to search for a souvenir shop. It is historically important because it was the home of Bach, among other well known German musicians and writers. Martin Luther lived in the nearby town of Wittenberg. Leipzig was the center of the ‘quiet revolution’ uprising that brought down the iron curtain in 1989. 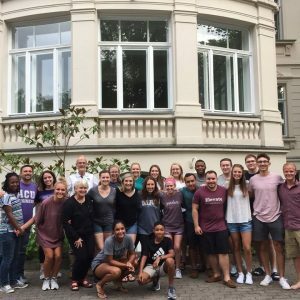 The German language adds a dimension to a study abroad experience that an English-speaking location cannot provide. But, enough English is spoken to allow one to get around without great difficulty. Were you able to visit any companies or work on projects with companies in other countries? We toured the BMW assembly plant in Leipzig which is very modern, is automated, and operated with great German efficiency and attention to sustainability. 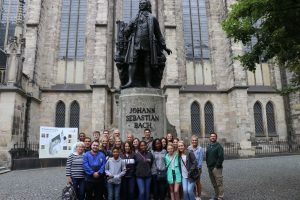 We took the students to visit Wittenberg where Martin Luther nailed his statement of protest to the church door 501 years ago, at great personal risk to his life. 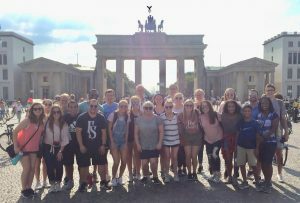 We also did a group tour of Berlin and many of the sites there, including the Berlin wall and memorial museum for Jews who lost their lives in the Holocaust. 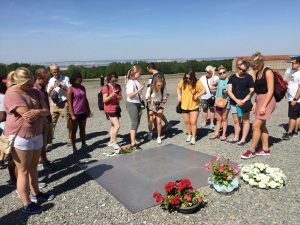 We traveled to Weimar and the nearby site of the World War II Nazi concentration camp, Buchenwald. We saw a place of great horrors and felt the weight of the suffering that occurred there. We saw the ovens that burned the bodies of those killed, the hooks on the walls where people were hung, the shoes of the victims, many of them children. We saw the memorial to the living – those who survived. The memorial plaque is simple in design, and heated to a living temperature of 98.6 all through the cold winters. Spending time in other countries helps to open your mind, eyes and heart to the world and appreciate the lesson that God tried to each Jonah long ago – that He loves and cares for all people everywhere. 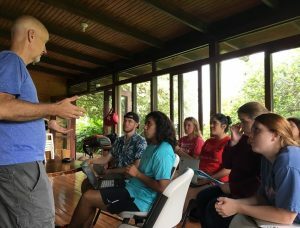 The trips mentioned above, and getting to hang out with the students and get to know them better. That the world is a much bigger place than the little bubble that most of us live in, and that we need to learn to live and function in a global community. 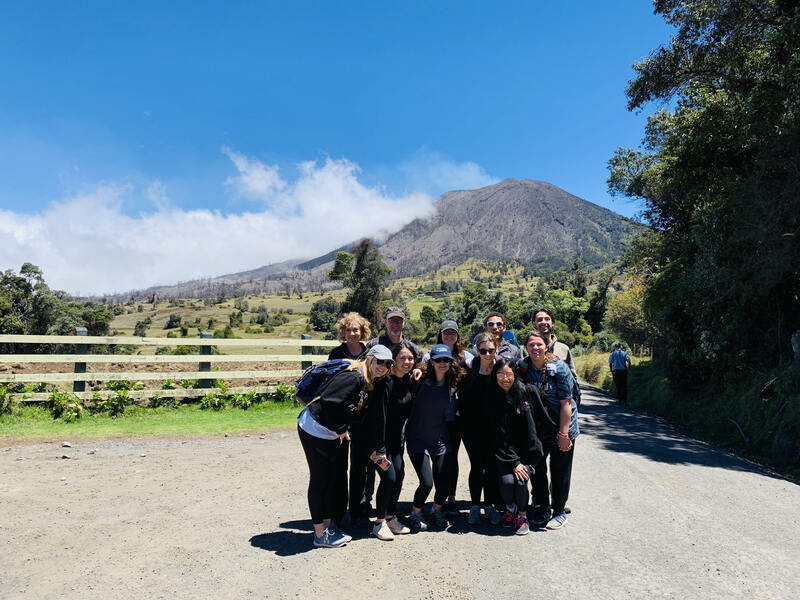 This summer, COBA students and professors traveled the globe learning more about how globally connected we are through business and about the people and cultures on the other side of the world. 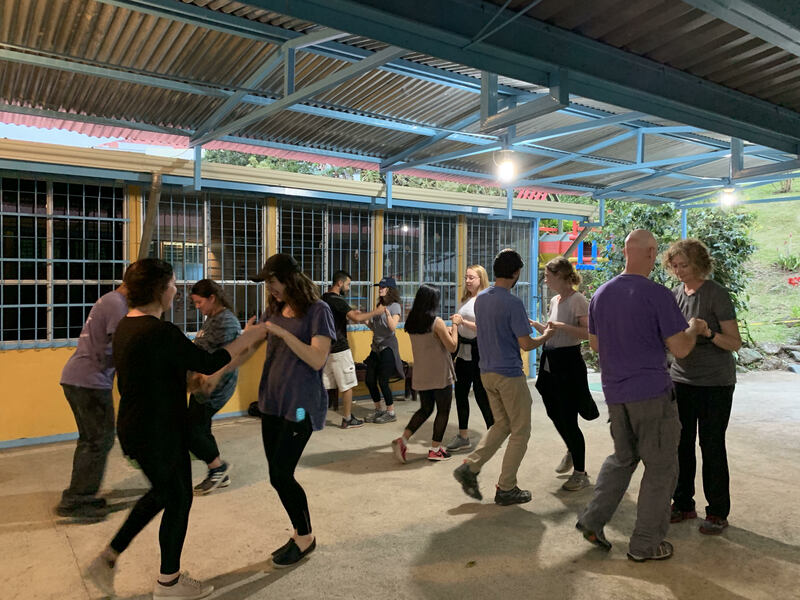 This is the first of a three part blog series on the 2018 travels of the COBA Study Abroad program. We hope you enjoy living vicariously through these stories as much as we have! 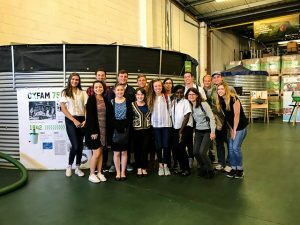 In June, professors Sarah Easter and Mark Phillips led a group of students to Oxford, England offering course credit in International Business and Professional Development and Life Design. 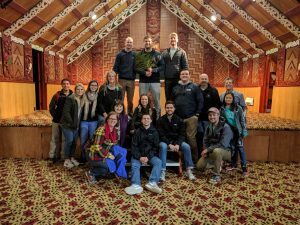 We asked Dr. Easter and Dr. Phillips a few questions to learn more about this fantastic experience and why other students should sign up to go in the future. What made Oxford a unique place to study? Oxford is a beautiful city, rich with stunning architecture, history and culture. As the home to Oxford University and its many colleges, there are lots of different university buildings, churches and museums to visit as well as numerous green spaces and parks. Plus, it’s very walkable and a short train ride to London and beyond. 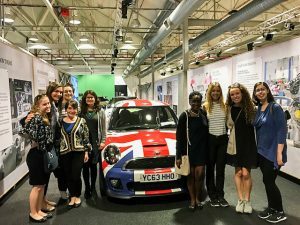 In the Oxford area, we took a tour of the MINI Cooper plant and Oxfam International, a leading UK-based charity, to learn about their international operations. We also took a day trip to London to learn about Sodexo’s corporate social responsibility initiatives as a global catering service provider; experience Siemen’s The Crystal, one of the world’s most sustainable buildings; and have lunch with an alum based in London to learn about her experiences living and working abroad. 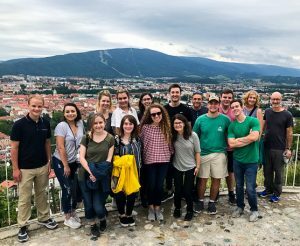 Our highlight excursion was a four-day trip to Slovenia where we met with the director for environmental protection for the city of Ljubjlana. She shared the city’s many initiatives focused on environmental sustainability including making the main city center largely car free; Ljubljana won the Green City Capital award for 2016 from the European Commission. 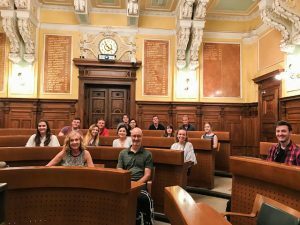 We also met with professors at the University of Maribor to learn about the Slovenian economy, and with a leader for a faith-based organization focused on youth outreach in Slovenia to learn about enacting faith in a largely secular culture. It was a fantastic trip in a beautiful and friendly country! We wanted students to experience local culture in Oxford as much as possible during our short time there. So, we incorporated some local activities into our agenda, including punting on the River Cherwell (http://cherwellboathouse.co.uk/punting/) and going to an evensong service (a choral-based church service) at Christ Church. 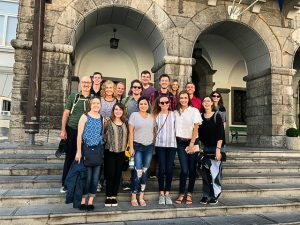 While in Slovenia, we took a city walking tour of the capital, Ljubjlana, as well as a day trip to the popular Lake Bled to experience the emerald blue lake and visit the Bled castle. We really enjoyed getting to know the students in a much more personal manner than is typically possible in a classroom setting in Abilene. 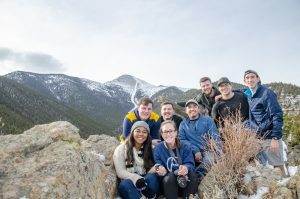 Not only did we interact with students in the classroom on a daily basis, but we also had the opportunity to live with and hang out with students as well. The Phillips had the students over to their apartment in smaller groups for dinner and I (Sarah) organized dessert outings around Oxford with them, which really contributed to us building relationships with them in a more relaxed (and hopefully fun) format. 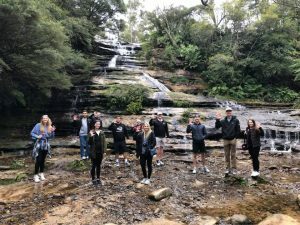 Sarah: There are too many to name but a few of my favorite experiences include: getting to know the students via yummy dessert outings around Oxford; going punting as a group on the River Cherwell; and our excursion trip to Slovenia. Mark: Working with our students on their Life Design plans. They have so many opportunities and it was wonderful to watch as they wrestle with their options. 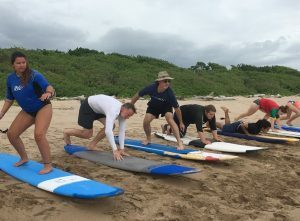 If students could only learn one thing from this experience, what do you hope that would be? 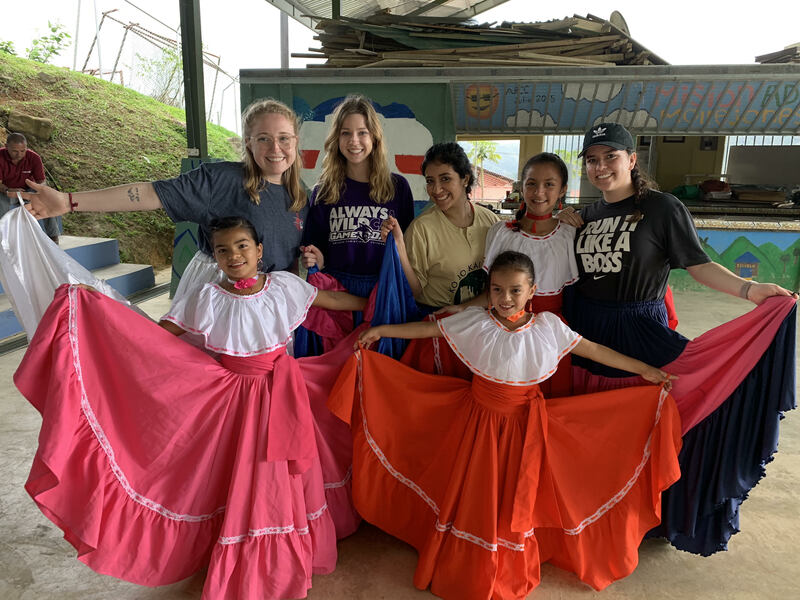 Sarah: My hope for students is that studying abroad will instill a true appreciation for other national cultures (and how complex and varied they are) as well as to spark a desire to seek and serve others throughout the world – wherever God calls them to be in the future. Mark: Texas and even the United States make up a tiny fraction of the world. As much as we love it here, I hope they began to get a glimmer of the amazing possibilities out there. We would strongly encourage students even thinking about study abroad to apply (there are scholarship opportunities available!). 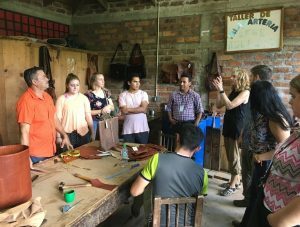 It is truly a life changing experience that will not only provide students with much more of a global mindset that today’s employers are looking for, but it will also affect them personally and provide them with a more well-rounded view of the world in which they live. 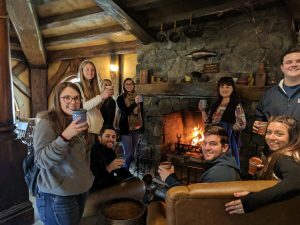 Students can learn about upcoming trips for the summer of 2019 at fall study abroad interest meetings. Check your COBA newsletter for dates! Dr. Katie Wick has a Ph.D. in economics and teaches classes in microeconomics, macroeconomics, and game theory at ACU. 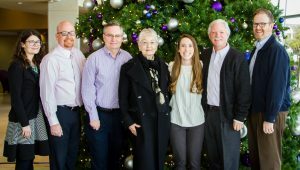 Last semester, Dr. Wick worked on registered replications of two famous social science papers with student Rachael Shudde, whom Dr. Wick has mentored throughout her time at ACU. They were a part of a replication with 24 other universities to test the results of these papers to see if they still held. Dr. Wick and Rachael had just under 400 participants in their section and the meta-analysis of the whole replication had 8,000 participants. Dr. Wick was named Mentor of the Year at ACU’s Undergraduate Research Festival for her work with Rachael. The premise of the first paper was on hostility and how people view actions as hostile or not based on whether they were primed with angry words or regular words. The second paper, which was presented at ACU’s research festivals and others, focused on the effects of moral priming against cheating. Participants were presented with a test that asked them to solve twenty matrix equations and then write down the number of matrices that they solved. Only half of the matrices had solutions and participants were asked to solve each one in four minutes. If participants reported solving more than ten matrices and more than four minutes were used to solve problems, then the participant was cheating. Before taking the test, participants had to complete a priming task. The control prime was to write down ten books the participant read in high school and the moral prime, which was being evaluated to see if it had any effect on cheating, asked participants to write down the Ten Commandments. Dr. Wick was particularly interested in this replication at ACU because students are constantly morally primed. 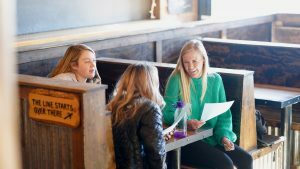 There are bible verses on the walls, chapels, and Christian professors who consistently integrate faith into their classrooms. 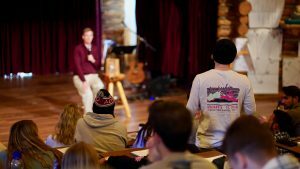 Dr. Wick hypothesized that the moral priming task would not affect the participants at ACU as they are morally primed every day, which turned out to be true. Rachael presented their findings on the cheating experiment at ACU’s Undergraduate Research Festival and at the Southwestern Psychological Association Conference. 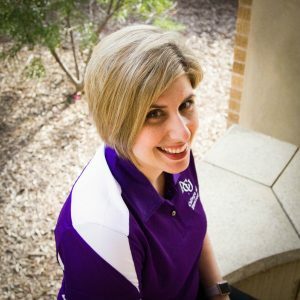 Dr. Wick was nominated by Rachael Shudde and won the award for Mentor of the Year at ACU’s Undergraduate Research Festival. “Dr. Wick is awesome and dedicated to research,” said Rachael. “She has a desire to answer questions and is good at designing and interpreting experiments. She is also great at giving feedback and guidance, which was invaluable throughout the research process.” Dr. Wick is grateful for the time she has been able to spend with Rachael and looks forward to seeing what she does during and after school.